It’s hard to get 700 people into a room for most things, if it’s not a sporting event or a major rock concert. So when that many people showed up in 2009 for a cantorial concert celebrating Alan Mason’s 18 years of service at Temple Israel of Greater Miami, he and his fellow musicians knew they were onto something. On the night of Jan. 14, the fourth iteration of the cantorial sing, now called the Winter Jewish Music Concert, will take place at the temple, which sits at 137 N.E. 19th St. downtown and is the oldest synagogue in continuous use in Florida. “We’re giving the community the gift of a first-rate musical evening,” Mason said. The performers will sing and play in a wide variety of musical genres, from klezmer to Yiddish and contemporary American art song, from Hebrew pop-rock and Ladino song to music by celebrated Jewish composers of older generations, such as Moishe Oysher, Abraham Ellstein and Max Janowski. And don’t forget the music of today. Emily Aronoff, a Delray Beach-based early music educator, will perform a very modern song based on Psalm 121 (“I will lift mine eyes up to the hills“), or “Esa enai,” as it’s known in Hebrew. “It’s in a disco setting, with the central section being a dry kind of rap. And it’s fabulous,” Mason said. For Mason, 53, who also is an associate professor of music at Barry University, one aspect of the concert is respect for tradition. The singers enter the synagogue, singing and dancing to a folksong by Shlomo Carlebach, then sit in a circle on the stage, taking turns in the spotlight, one after the other. There are no lengthy introductory remarks from a variety of speakers, nor is the concert being given for any fundraising purpose. It’s simply one musical performance after another. “The audience loves it because there’s no distraction,” Mason said. 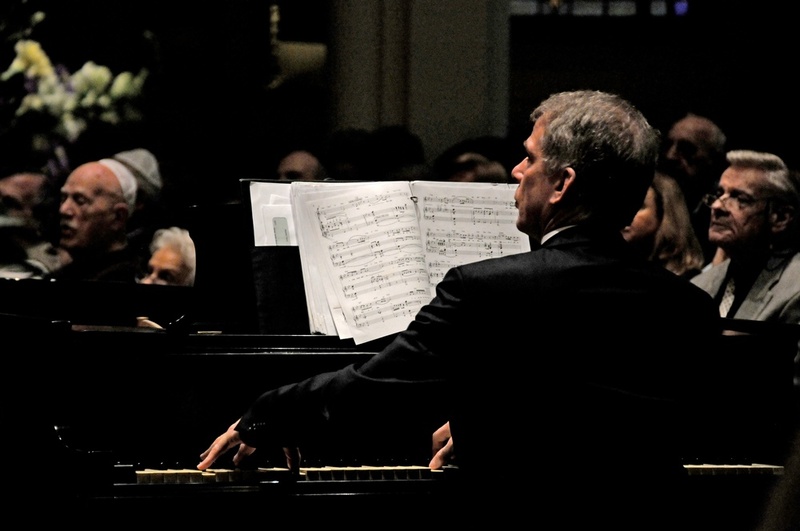 The concert is set for 8 p.m. Saturday, Jan. 14, in the Bertha Abess Sanctuary at Temple Israel. Tickets are $18, and available at the concert website or by calling 800-838-3006. A capacity crowd is expected, and for good reason. This year's version of the annual Winter Jewish Music Concert at Temple Israel of Greater Miami was the program's best in its four years of existence. The concert, which recently took place and featured 27 musical artists, including local cantors and program director Alan Mason accompanying them, seems to get better every year. Mason's direction of this sensational spectacle was equaled by the chemistry he shared with the performers as he accompanied them while playing the piano. The singers all gave powerful performances while providing the highest level of music execution possible through a variety diverse range of music such as Ladino, Israeli, folk, Yiddish, pop, classical, hazzanut, jazz, rap and tango. The concert's vibrant tone and upbeat atmosphere was set during the singers opening processional performance of "Ki va Moed." 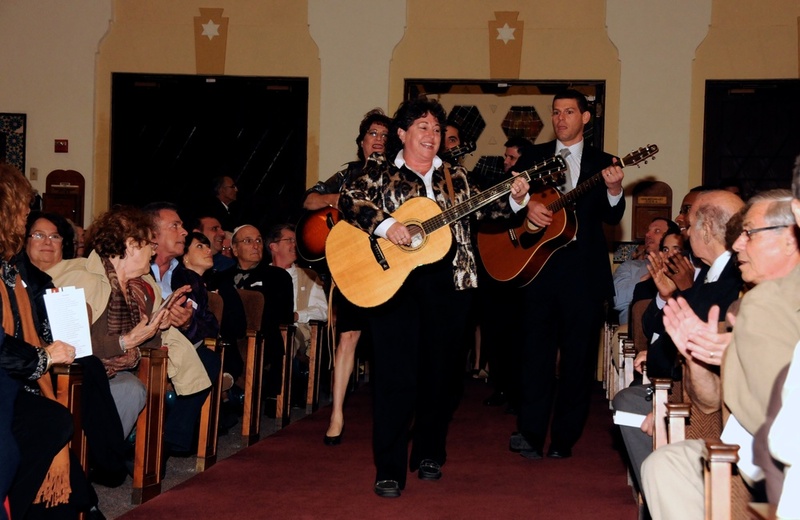 The audience was then treated to the performers putting forth their best efforts through renditions of Jewish-inspired music that provided a spiritual and lively presence in the room. Mason's piano playing flowed very well with the singers' performance. A highlight from the concert included Martin Bookspan, former host of the PBS series "Live from Liberty Center," serving as special guest host. Highlights from the cantors' performances included Zachary Mondrow of Temple Torah of West Boynton Beach providing a powerful performance of "V'Lirusholayim Ircho," Lisa Segal of Temple Beth Sholom in Miami Beach giving a beautiful rendition of "I Sing I Pray," Geniene Miller of Beth Torah Benny Rok Campus in North Miami Beach singing "A Piece of the Sky," Michelle Auslander Cohen of Temple Beth Am in Margate and Temple Beth El of Boca Raton providing a nice rending of "Sim Shalom," Emily Arnoff Teck of Temple Beth El of Boca Raton rapping to "We Can Rise," Rachelle Nelson of Temple Beth Am in Pinecrest singing "Mirror to My Soul" that brought a spiritual presence to the room, Benjamin Matis of Shleter Rock Jewish Center in New Yrk providing "Hatei Elokai," Luis Cattan of Beth Torah Benny Rok Campus in North Miami Beach performing "Ilu Finu," and Cesar Beliniski of Temple Beth Torah-Tamarac Jewish Center singing "Amen" that proved to be a fitting closure to the solo performances. These are just a few of the brilliant performances that the singers gave. The concert ended in a joyful celebration of all the performers that should entice guests to return next year. Those who missed this year's concert can always catch it next year. This annual concert is one that should be seen at least once and the music appeals to people of all backgrounds. The date for next year's concert is already set for Jan. 19, 2013 at 8 p.m. at Temple Israel of Greater Miami.